Some of our students were very happy to have the day off yesterday to chill on the beach and relax in the sun. But, why was there no school yesterday? As many of you know, it was President’s Day, an American federal holiday. During Chill and Chat last week, the students who attended learned about the meaning of the day and discussed some history about U.S. politics and the presidents. 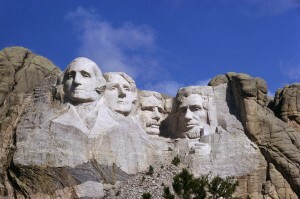 They found out that President’s Day is meant to honor all former presidents, but this was not always the case. In the past, the holiday was specifically to remember George Washington, the first president of the U.S., who was born on February 22nd. Over time, the holiday began to include more presidents because two of the most famous presidents – Washington and Lincoln – were both born in the month of February. These days, there is not much of a “celebration” on this holiday, but many people enjoy a day off of work or school. 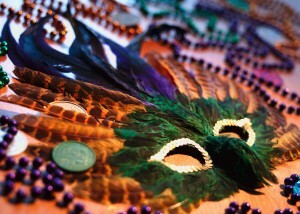 Another holiday this week is today – it’s Fat Tuesday or Mardi Gras in French. Many people know about Mardi Gras because of the famous Carnival in Rio de Janeiro, Brazil, but the celebration actually occurs in many countries around the world. It is not a very big holiday in Miami, but the nearby city of New Orleans in Louisiana, is famous for its colorful Mardi Gras parades. People who visit New Orleans or other cities celebrating Mardi Gras will see people dressed in bright colors and some may be wearing masks, feathers, and/or beaded necklaces. Historically, Fat Tuesday is a religious day and some Catholic countries continue to celebrate the day because it marks the last day before the start of Lent, but for other non-religious people, it is a big day to party! For more information about Mardi Gras in the U.S., specifically in New Orleans, click here. President’s Day is definitely a holiday that is specifically American, but many countries commemorate their presidents or leaders in some way. Countries worldwide celebrate Mardi Gras, but they often have different traditions. According to our French students, in France, young children dress up in costumes. Our Polish students said that in Poland, some Catholic people eat a lot of food to prepare for Lent because they have to fast* during lent. How do they celebrate Mardi Gras in your country?